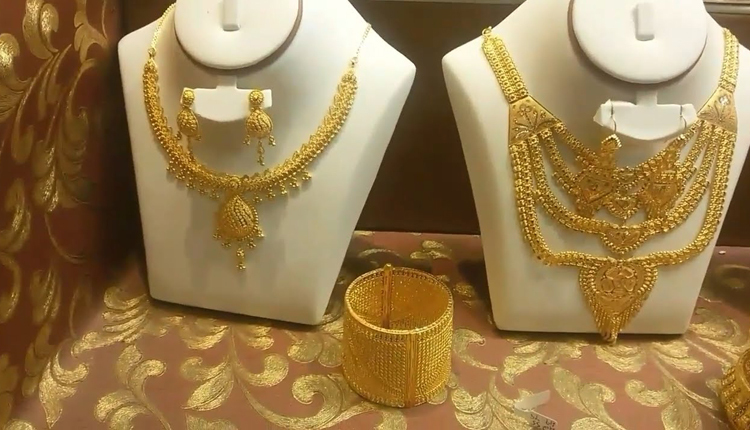 Gold prices rose on Monday as the dollar fell on expectations that the U.S. Federal Reserve will not raise rates this year and as Asian markets dropped after lackluster China data reflected a slowdown in the world’s second-largest economy. Gold tends to gain on expectations of lower interest rates, as they reduce the opportunity cost of holding a non-yielding bullion and trims the demand for U.S. dollar, making the yellow metal less expensive for holders in other currencies. Spot gold was up 0.3 percent at $1,291.42 per ounce, as of 0411 GMT. U.S. gold futures were up 0.2 percent at $1,291.40 per ounce. The weakness in equities and U.S. dollar appear to be a bonding providing support for gold, said Michael McCarthy, chief strategist, CMC Markets and Stockbroking. “The market feels there is a shift in the Fed’s stance and it is more accommodative and we are seeing the dollar weakening for several sessions,” McCarthy said. Meanwhile, Asian shares tumbled on Monday after a shock contraction in Chinese December exports, which fell 4.4 percent from a year earlier, the biggest monthly drop in two years, official data showed on Monday. “The precious metals sectors continues to benefit from a weaker U.S. dollar and periodic weakness in equity markets,” ANZ said in a research note. “The geopolitical risks have also started to induce some safe-haven buying. Investors are becoming increasingly worried about the Brexit negotiations. At the same time, there appears no end in sight for the U.S. government shutdown, ” ANZ noted added. A partial U.S. government shutdown over President Donald Trump’s demand for $5.7 billion to build a wall along the U.S.-Mexico border entered its 24th day on Monday, with no end in sight. Among other precious metals, palladium fell 0.6 percent to $1,310.45 an ounce. It hit a record high at $1,342.43 last week. Platinum slipped 0.5 percent to $806.24; while silver inched down 0.1 percent to $15.58 an ounce.